It’s never a good idea. Daniel F. Cleary, 48, of Weston, Fla. knows that now. Clearly pleaded guilty last Friday in federal court in Southern Florida to impersonating an FBI agent, the U.S. Attorney’s Office said. Authorities said it all began on Jan. 13 of this year when Broward Sheriff’s Office deputies responded to a call regarding property damage at a home in Weston, Fla. 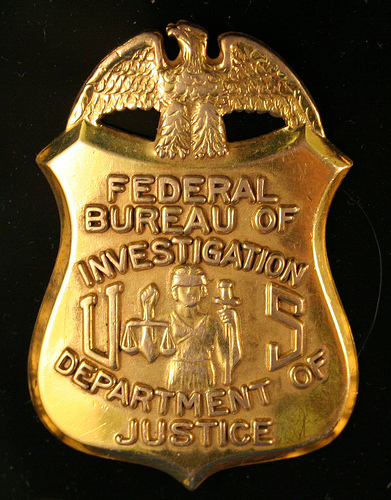 When the deputies arrived at Cleary’s residence, Cleary identified himself as a Special Agent with the FBI and displayed counterfeit FBI credentials bearing his name and photograph. He also had a Glock Model 17 9mm semi-automatic pistol. He faces up to three years in prison. Posted: 5/10/11 at 9:44 AM under FBI, News Story.